The 30-06 Springfield is one of the most beloved rounds in America. With longer range and higher power than almost any other rifle, this round is perfect for hunting and has been used for military purposes as well as civilian. 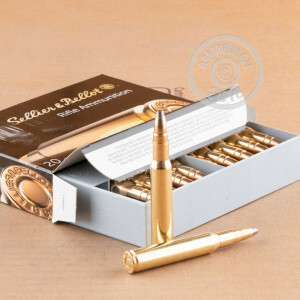 Developed in 1906, this round has proven itself over the 110 years it has been around to be one of the best rifle rounds on the market. 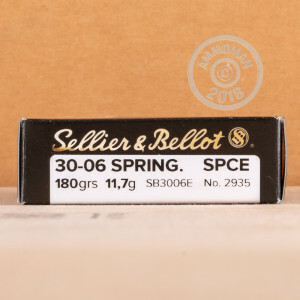 For years and years, Sellier and Bellot has been manufacturing some of the best ammunition in Eastern Europe. With their high quality manufacturing and attention to detail, this Czech company gives you just the ammo you need to get your game on. These 180 grain, soft point cutting edge rounds have been designed specifically to give you the best deer hunting experience. Don't miss out on these great, reloadable rounds!